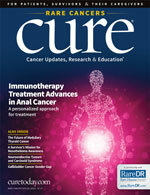 Although immunotherapy has shown promising activity in a variety of solid and hematologic tumors, this class of drugs should not be used in the first- or second-line setting for patients with non–small cell lung cancer (NSCLC) who have driver mutations, such as EGFR, explained Rogerio Lilenbaum, MD. The preferred frontline agent for the EGFR-mutant NSCLC population is the third-generation TKI osimertinib (Tagrisso). 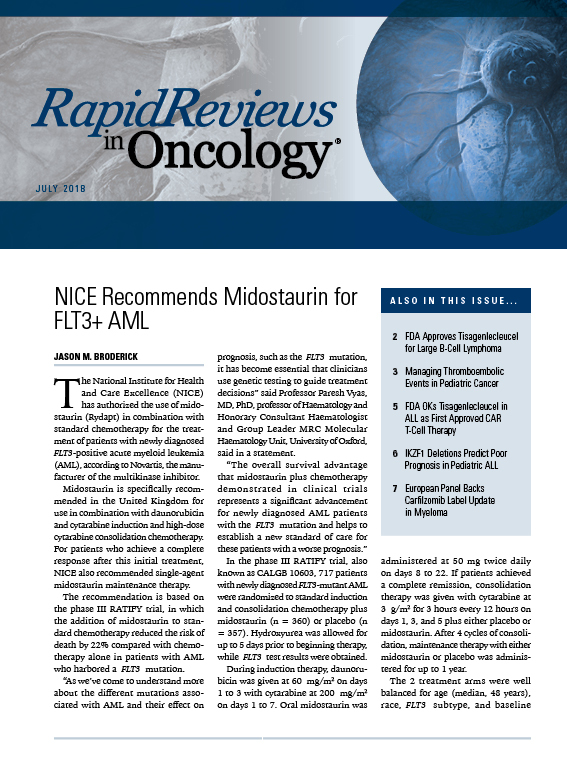 This agent received FDA approval in April 2018 as a first-line treatment option for patients with NSCLC whose tumors harbor EGFR mutations (exon 19 deletions or exon 21 L858R substitution mutations). 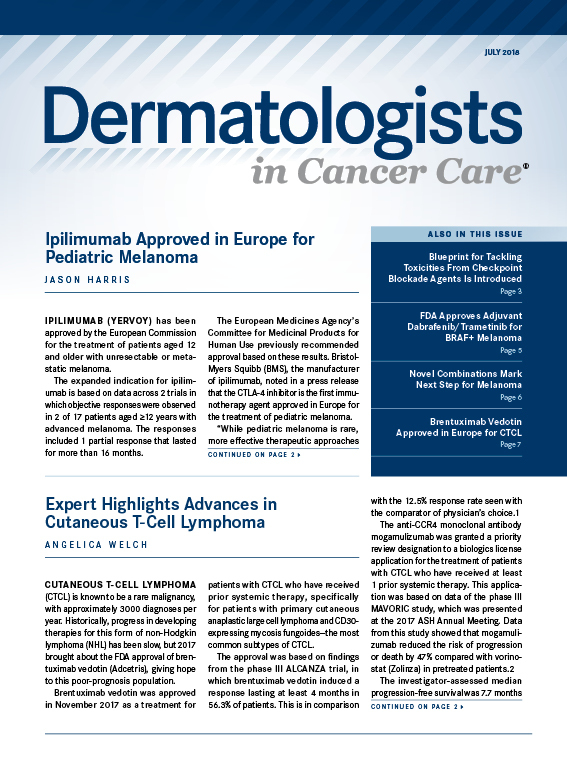 “Osimertinib is an agent with great efficacy and a very favorable toxicity profile. It is definitely a step up from the first- or second-generation inhibitors,” said Lilenbaum, chief medical officer of Smilow Cancer Hospital and a professor of medicine at Yale New Haven Health. The TKI has also demonstrated efficacy in patients with central nervous system (CNS) metastases. However, for patients who progress on osimertinib, oncologists have turned to more conventional approaches, such as radiation or surgery, or exploring the use of checkpoint inhibitors in a small percentage of patients. 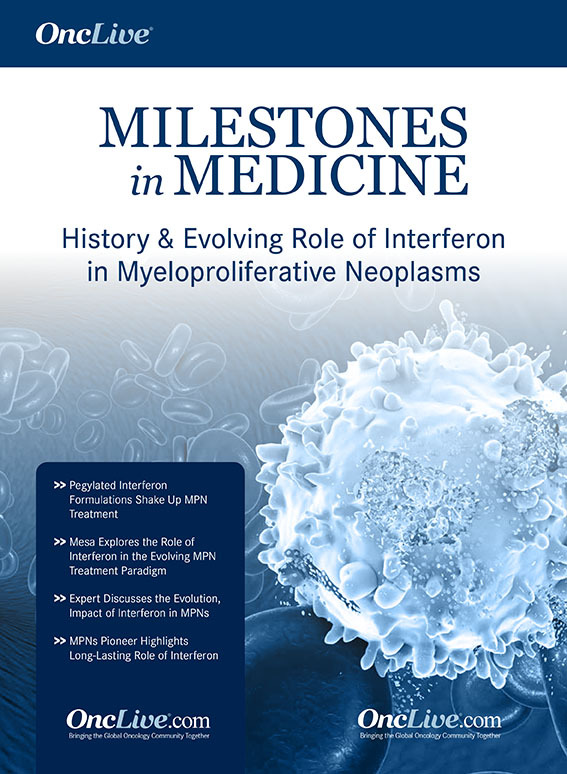 As of January 22, 2018, the data cutoff, the investigator-assessed median OS in the patient population had not yet been reached (95% CI, 17.0-nonevaluable [NE]) with the addition of atezolizumab (n = 34) compared with 18.7 months (95% CI, 13.4-NE) in those who received bevacizumab with chemotherapy alone (n = 45). 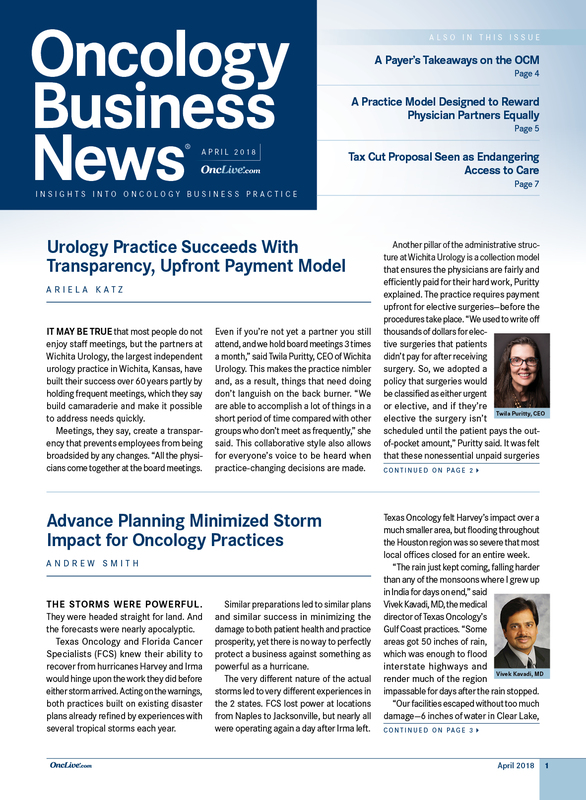 Investigators also observed an increase in PFS with the addition of atezolizumab in these patients. “Immunotherapy has challenged the way we view progressive disease, and basically, the whole thought process about treating cancer,” said Lilenbaum. However, despite these positive data, physicians should proceed with caution when using these agents in patients with oncogenic drivers. 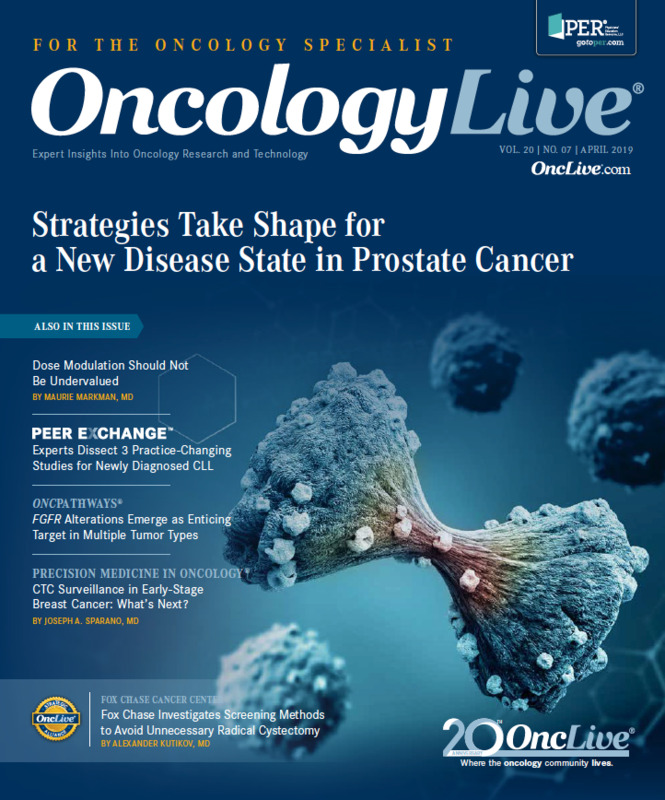 In an interview with OncLive during the 16th Annual Winter Lung Cancer Conference™, Lilenbaum, who was chair of the program, highlighted the current treatment approaches for patients with EGFR-positive NSCLC and shed light on the potential for immunotherapy in the space. OncLive: What is your preferred frontline agent for EGFR-positive NSCLC? Lilenbaum: Based on National Comprehensive Cancer Network Guidelines and up-to-date recommendations, I consider osimertinib as the optimal inhibitor in this setting. I believe the majority of thoracic oncologists in the United States have followed the same recommendation. The use of osimertinib in the frontline setting has increased quite rapidly in the last few months after the FLAURA data were released. It is likely to continue for a while. What are your thoughts on dacomitinib (Vizimpro)? Where does this agent fit in? I have not had a chance to use it. Dacomitinib was only FDA-approved a few months ago based on the ARCHER 1050 study. I have not necessarily found a certain type of EGFR-mutated patient where I would prefer this over osimertinib. It is not related to the efficacy of the drug because we know it is significant. We are seeing great PFS survival and OS advantage. However, the toxicity profile of the drug is more difficult for patients, particularly skin toxicity and diarrhea. It is not a controversial drug in the sense where the activity is controversial—because we proved that it works. We also have a pretty solid description of side effects. However, in the arena where osimertinib is definitely rising to the forefront, dacomitinib takes second place, far from osimertinib. What is now the role of the older-generation EGFR TKIs? I believe they will be used less and less. There may be patients who cannot tolerate osimertinib, and if they can't tolerate that drug, it is very unlikely they would tolerate dacomitinib. Some of these patients may benefit from gefitinib or erlotinib. I do not see a lot of other situations where we would use these drugs moving forward. What can be done for the patients who develop CNS metastases? It is important to note that osimertinib has fantastic efficacy in the CNS, better than anything we have previously seen. I have used osimertinib in situations that were not typical to EGFR inhibition, like in the second-line setting with no evidence of T790M. I did this only because of the CNS activity, and I have been pleased with the results. 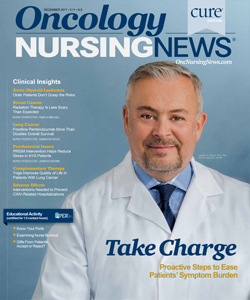 For patients with CNS progression, osimertinib is an important drug. With that said, not everyone benefits from the drug, and those who do will eventually progress. For those patients, we use more conventional approaches like radiation, or, less often, surgery. For the small percentage of patients with EGFR mutations who are likely to benefit from immunotherapy, we have also used checkpoint inhibitors based on emerging data. What is the potential for immunotherapy in this space? There is one more important thing to say, and that message is finally getting across, although maybe not with 100% penetration yet: patients who have a driver mutation should not receive immunotherapy upfront. I cannot think of a situation that justifies that. Those patients need to be treated with targeted agents appropriate to their driver. However, this happens in clinical practice sometimes because physicians receive the results of the PD-L1 [testing] much earlier than the [next-generation sequencing]. They tend to react, or, in some cases, they do not feel it is in the best interest of the patient to wait and see if they have a driver mutation. I would ask physicians to be very careful when they make that assessment. In addition, it is very rare to see high PD-L1 expression in patients with oncogenic mutations. It happens now and then, but I would say [it occurs] in less than 10% of patients. The general sentiment, based on data we have seen so far, is that patients who have drivers should not receive immunotherapy, not in the frontline setting and probably not in second-line setting either. It should be given in the later lines of therapy, after other options have been explored. What has changed this landscape a little bit is combination therapy. Particularly, one combination of chemotherapy and immunotherapy—bevacizumab and atezolizumab [with chemotherapy]—has shown promise. There was a suggestion that patients could benefit from this regimen, and I must admit that while I'm optimistic about these results, I am also a little bit cautious. I have used [the combination], but not routinely. 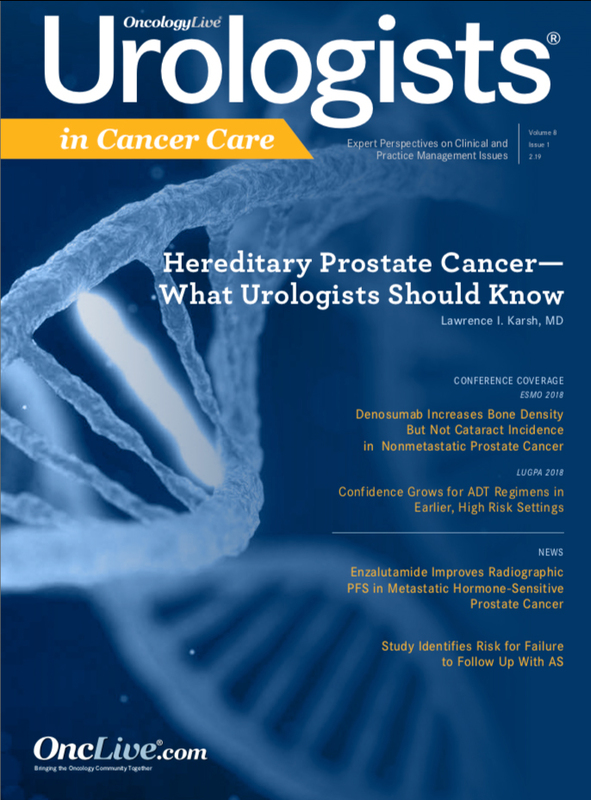 If a patient receives a first- or second-generation EGFR inhibitor, and he/she progresses—especially with a T790M mutation—it is obvious he/she will get osimertinib. If a patient receives this combination upfront, we do not yet have complete knowledge of the mechanisms of resistance, but it does not seem that going back to earlier-generation TKIs is the way to go. As I said, my colleagues and I would go for more traditional approaches. 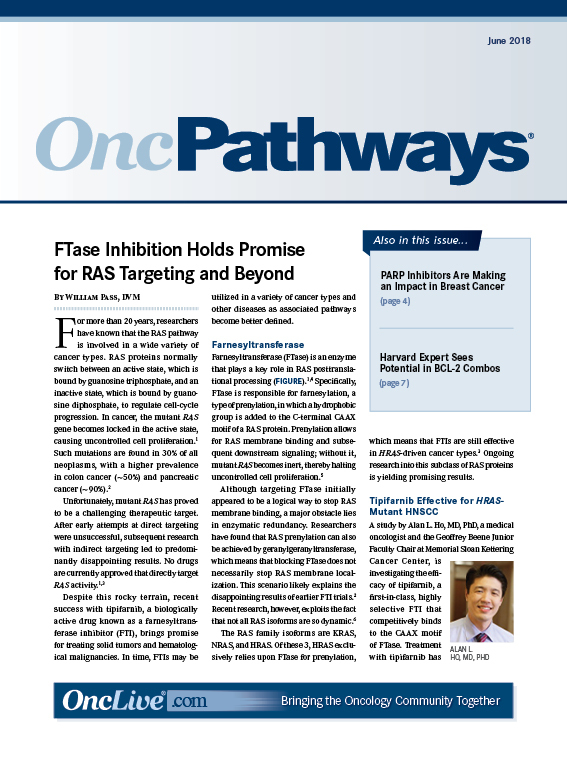 Approaches that we have used in the past that seem to be coming back with a little bit of traction include adding bevacizumab to an EGFR inhibitor; that combination is actually approved in Europe in the frontline setting. There was a time when many lung cancer experts would just add bevacizumab when they started to see progression on EGFR inhibitors. That sort of died down, but now it is coming back in the last year or 2. 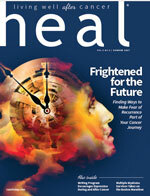 Looking at the general scope of lung cancer, in what area has there been the most advancement in the past year? The immunotherapy story is absolutely fantastic. The issue with the targeted agents, which are now about 14 years old, is that they can only be applied to a certain number of patients. Here you have an approach that seems to work in a variety of solid and hematologic tumors. This is already unusual in terms of cancer medicine. You have broad applicability and you can make a significant difference in a much higher percentage of patients. For the first time in my career, you see a plateau at the end of the survival curve. You can clearly see it, too, in a disease like melanoma. We have melanoma doctors at Yale Cancer Center who are bold enough to say that they will cure stage IV disease. It almost sounds illogical, right? I don't know if the lung cancer doctors have the same audacity yet, or if we are even in the same stage, but you do see long-term survivors that would not have been seen before. 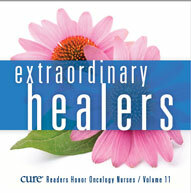 It is a spectacular story, and it has changed the way we think about several different cancers. Immunotherapy has challenged the way we view progressive disease and the whole thought process about treating cancer. Soria JC, Ohe Y, Vansteenkiste J, et al. 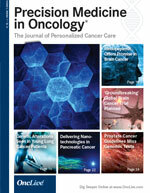 Osimertinib in Untreated EGFR-Mutated Advanced Non–Small-Cell Lung Cancer. New Eng J Med. 2018;378:113-125. doi: 10.1056/NEJMoa1713137. Mok TS, Socinski MA, Reck M, et al. IMpower150: an exploratory analysis of efficacy outcomes in patients with EGFR mutations. Ann Oncol. 2018;29(abstr; suppl 9): ix173-ix78. doi: 10.1093/annonc/mdy483.